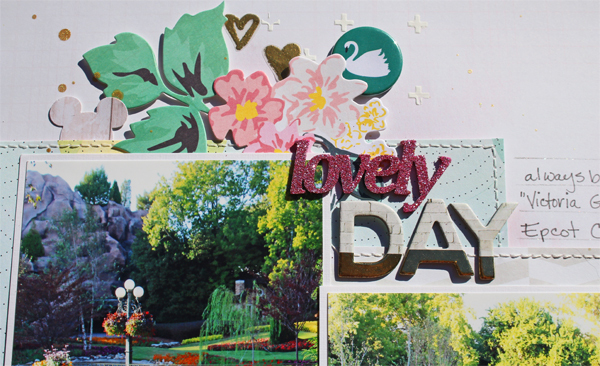 I just loved the beautiful colors and die cuts and things in the "Gale Song" kit and Add on kit from Scraptastic Club this month. I just don't have alot of pink and aqua in my life but I totally love these colors and the bit of gold and fringe, just push it over the top for me. 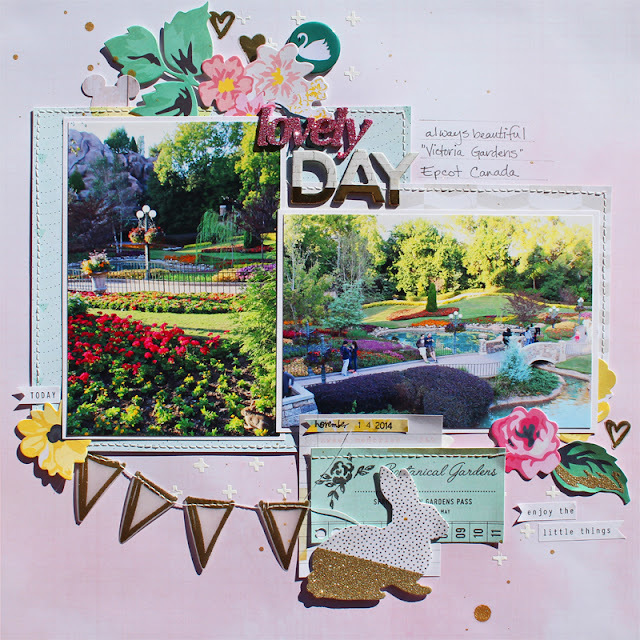 Today I am going to share two layouts using this kit along with the Gale Song Stamp Set which has big words and a journaling block and the Sunday Morning Stamp Set that has some fun banner pieces. 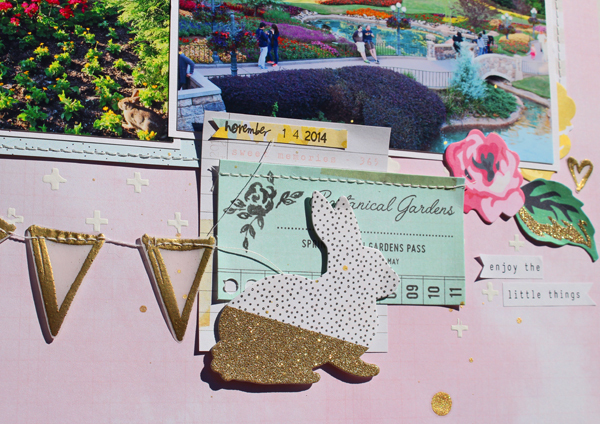 The little plus signs in the background are using the stencil that came in the kit with some white Gesso paint. I stamped and heat embossed the banner and heart images with gold on vellum. 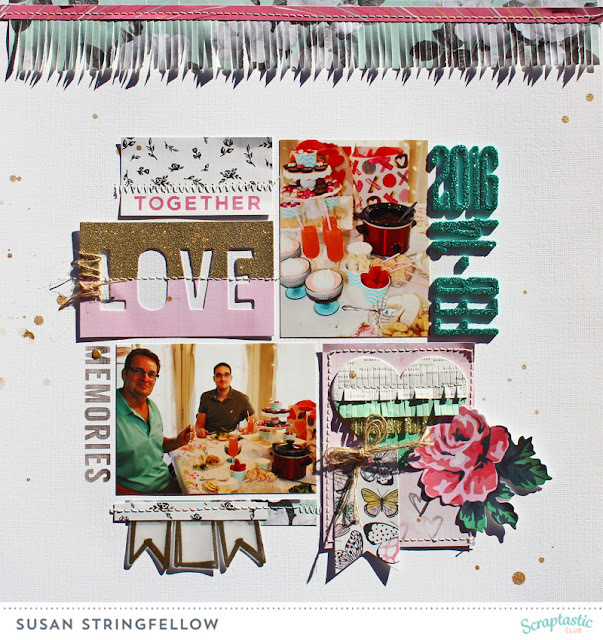 For my second layout I wanted to do a Valentines page since there are love and heart icons in this kit. I cut a strip of fringe from patterned paper along the top to echo the fringe in the heart embellishment. You can never have too much fringe, right? 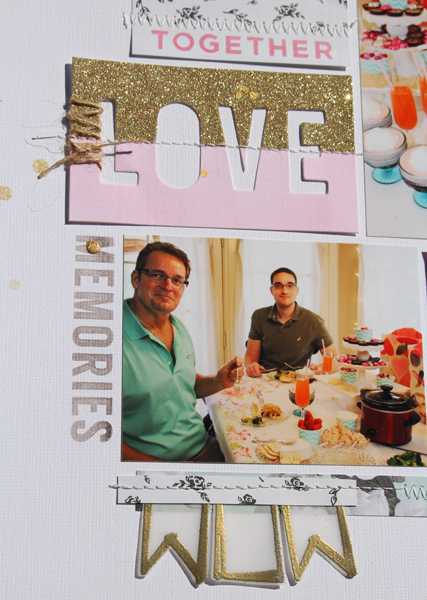 I stamped the word memories directly onto my background and stamped the gold vellum banner pieces again. I added some natural twine from my stash. 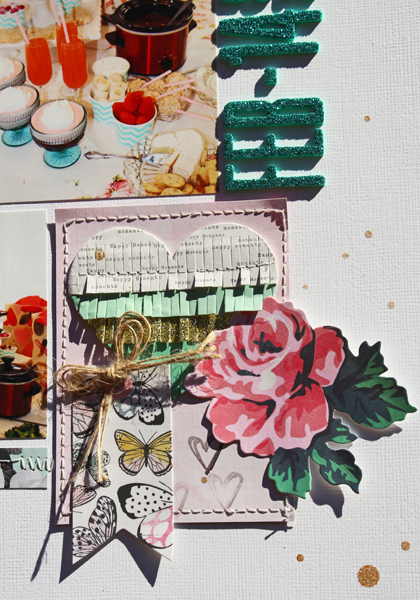 And a close up of the wonderful little fringy heart and coordinating die cuts. The photos on that first layout are just amazing, I like how you've just added around the edges. Great work!